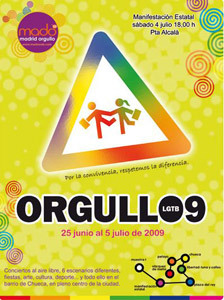 “Orgullo Gay Madrid 2009” has begun! 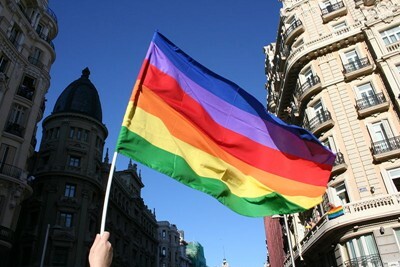 Last year, Madrid hosted Europe’s Orgullo Gay festival. 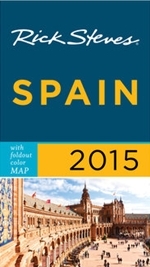 This year is a more typical year with the somewhat smaller-scale Gran Vía parade and Chueca-wide street parties from 25 June to 5 July 2009. While last year’s attendance was HUGE, inviting supporters and partiers throughout Europe, the novice won’t see much difference this year because Madrid’s Gay Pride Festival is big. While I, MadridMan, am not gay, I do respect the rights of others to do pretty much whatever they want if not harming others – and I always enjoy a good party. One would have to be in deep denial if they couldn’t see that Gay Pride is one BIG party and a lot of fun! I’ve never seen a bigger, better party for everyone; gays, straights, and anyone who likes to enjoy life – and see some things you aren’t likely to see on a typical day on the streets in Madrid (or anywhere!). You can see the true joy in people’s faces, everyone smiling, everyone laughing, everyone hugging (and possibly kissing), whistling, hand-holding and @$$-grabbing goes on too. Festivities and shows begin on June 25th but the big Gay Pride Parade takes place on July 4th (how dare they schedule such a thing on USA’s Independence Day!! 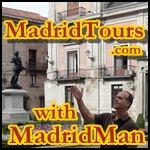 (tongue-in-cheek).The Madrid Gay Pride Parade starts at 6pm and the parade route is as follows: The parade starts at the Puerta de Alcalá, heads west through Plaza de la Cibeles, up the Gran Vía, and ends at the Plaza de España. The news these days about Madrid’s Gay Pride festival is that next year’s festival location may take place OUTSIDE the city of Madrid, far away from its home of the “Gay Neighborhood” of Chueca. It’s hard to imagine the Gay Pride festival in, say, the suburbs of Parla or Pinto – although those places would be more than happy to have the economic inversion, I’m sure – but people would then have to take trains and cars to get there. This is not conducive to a “central” festival. But many of those who live in the Chueca neighborhood have filed complaints about the noise during the Orgullo Gay festival so the city was to take action. Yesterday, the “Orgullo Gay Organization” did not agree to the terms and says Orgullo Gay will stay in Chueca. fun, a true spectacle which should be witnessed firsthand. This entry was posted in About Spain, Entertainment and tagged 2009, chueca, gay parade, Gay Pride, gay pride parade, homosexual, Madrid, Orgullo Gay, Orgullo Gay 2009, parade, parade route, Plaza de Chueca, ruta del desfile. Bookmark the permalink.